I'm excited to be participating in Play~Learn~Imagine's candy series. Throughout the week, some great bloggers are sharing over 30 ways to create, learn, and explore with candy. Today's topic is painting with candy. 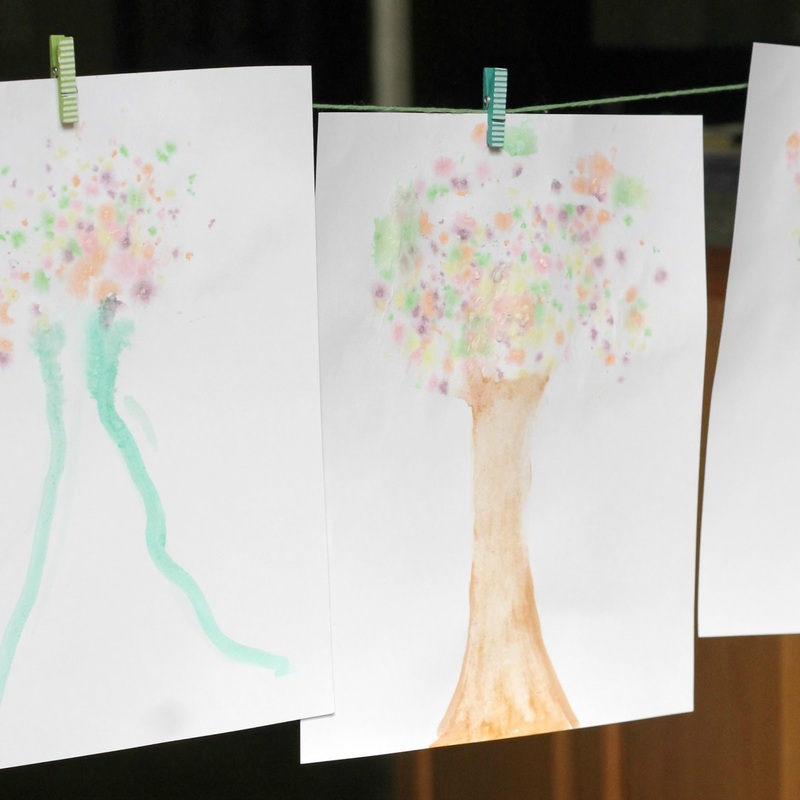 Our contribution is colorful fall watercolor trees made with Nerds. They're fun to make and almost any colorful candy will do, so it's a great way to use up candy from your kids' trick-or-treat bags without actually eating it. 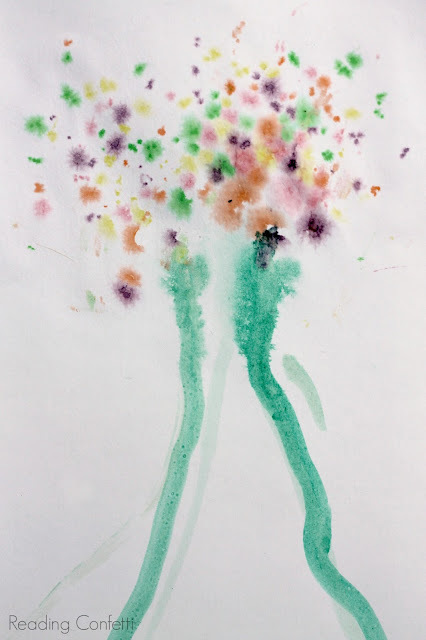 This was a quick and easy art project similar to our sprinkle fireworks. Paint a tree trunk with watercolor. 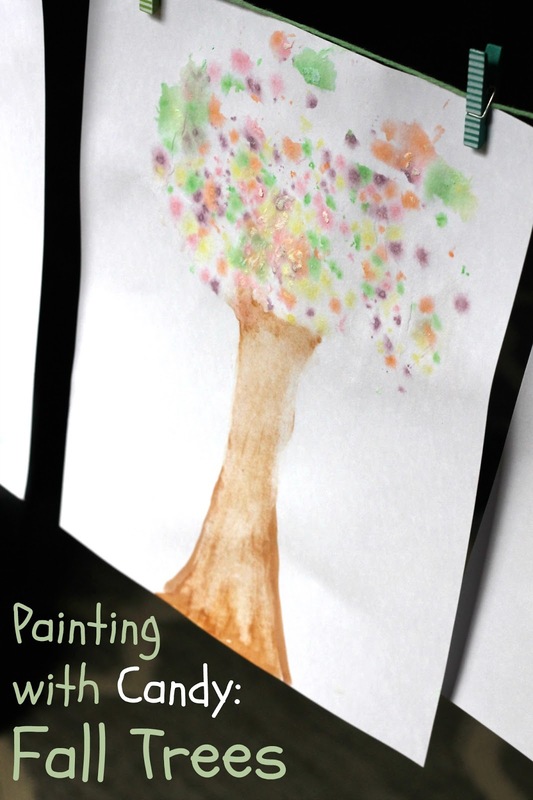 Use a paint brush to apply plain water to the area where you want the leaves. 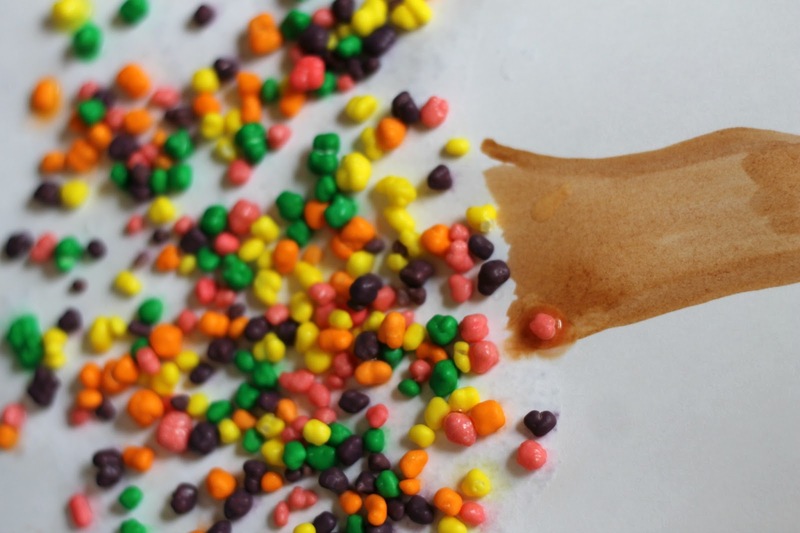 Sprinkle Nerds or any colorful candy on top of the wet paper. Let your candy creation sit for a few minutes. Hopefully you'll see the colors have started to bleed onto the paper. 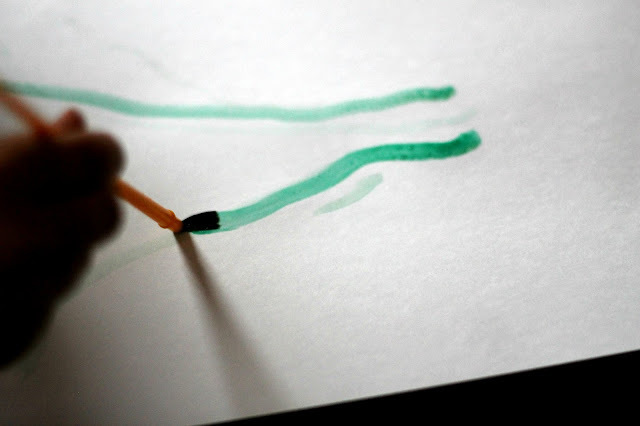 If not, the paper wasn't wet enough and you can mist the candy lightly with water. Be careful not to get it too wet or all the colors will run together and your leaves will be brown. After a few minutes, brush the Nerds candy from the paper. If you wait too long, they'll become mushy. I'm not sure if they'll actually harden up again if you leave them dry long enough. And come back later in the week for some candy math and science! So cool! I love how the colors spread just like watercolors...you'd never know that they started out as Nerds! Oooh! So pretty! 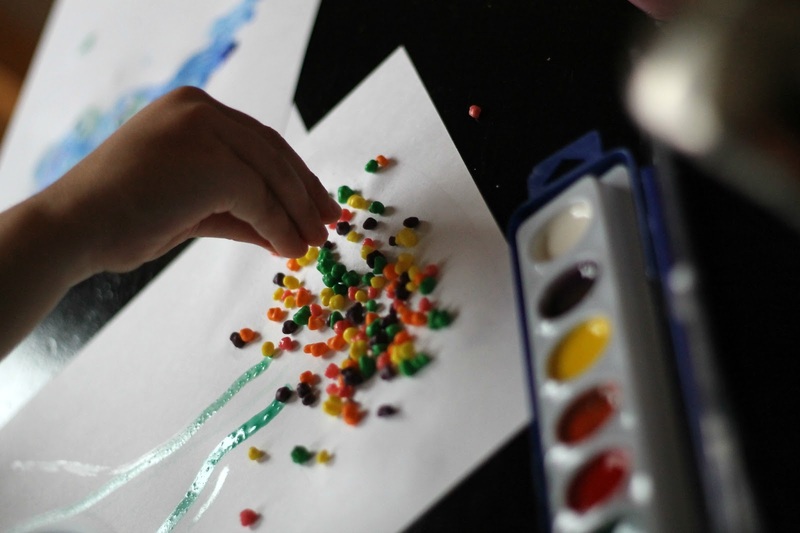 I was totally expecting to soak the Nerds in order to make a water colour paint, but I LOVE this method! I have never seen anything like this before! So cool. Like Jen, I was expecting you to soak the Nerds in water. I can't wait to try this! These look so fun! 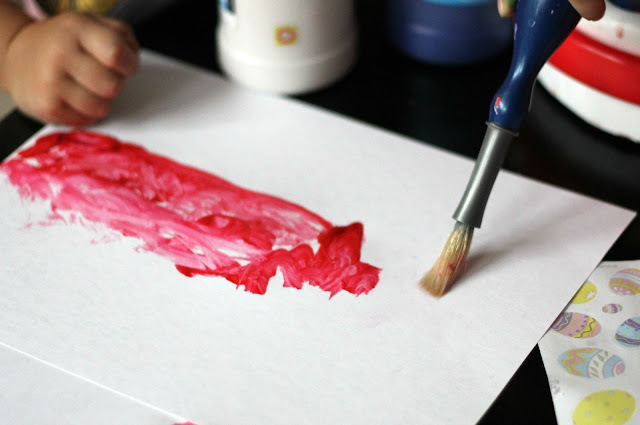 Perfect for an indoor activity for my preschooler!